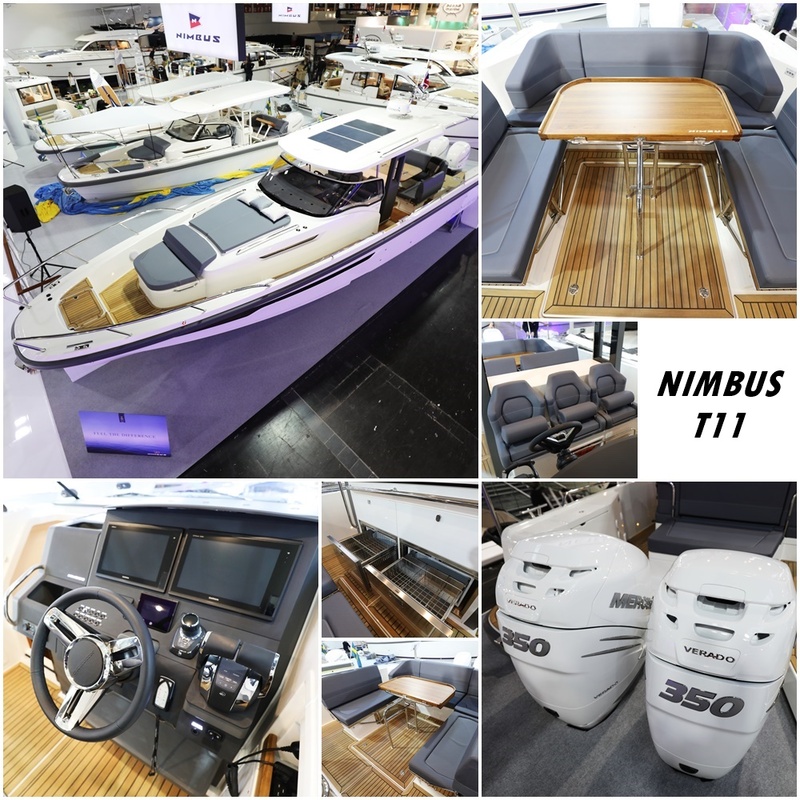 The T11 is Nimbus’ vision of the perfect day boat with the ambition of perfecting easy living at sea while providing a social playground for friends and families. In short, that means a large lounge area with adjustable seating arrangements, multiple sun-beds, outdoor cuisine, gyro stabilization, XXL stowage for gear and toys and an impressive amount of deck space which provides an overwhelming freedom of movement. Packaged in contemporary Scandinavian design. “We are seeing a clear trend in boat usage right now which is characterized by more effectiv utilization over shorter periods of time. This often corresponds to day trips or weekend getaways with an overnight stay where boat users can relax and have a good time together with their family or friends. The new T11 is designed to meet these needs in full. It offers multiple opportunities for socializing, relaxation and activities onboard. 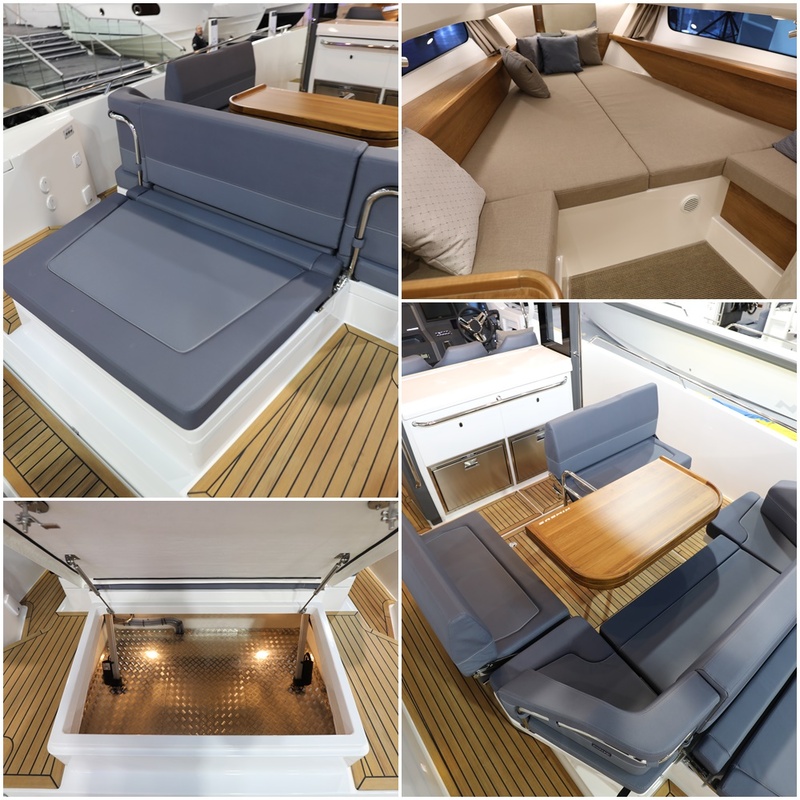 There is space for four people to stay overnight in two spacious berths and the boat has been consciously packed with functional features for a superbly comfortable life at sea” says Jonas Göthberg, commercial manager of Nimbus Boats Sweden AB. 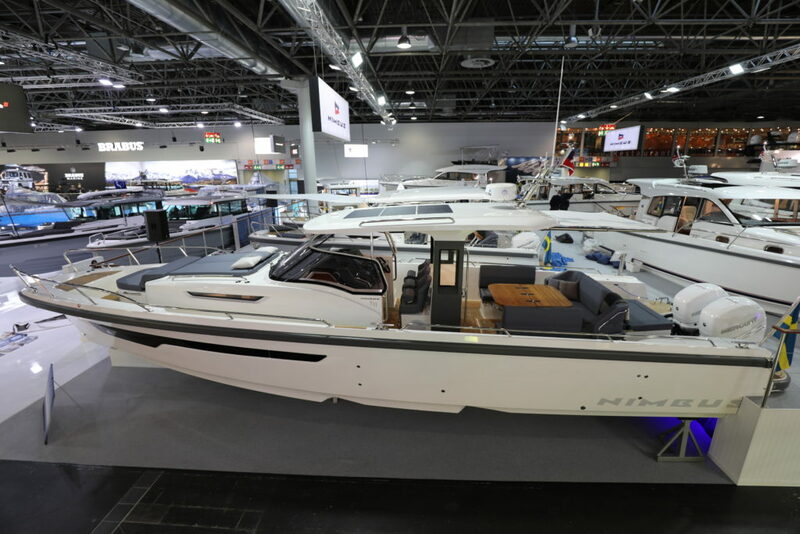 socializing spaces, plenty of room to move around, good protection from the sun that covers a good part of the boat and several spots to lie back and sunbathe or sit in. It was also plenty of fridge space for storing food and drink, a proper outdoor kitchen with barbecue, a large bathing platform with room for several people to enjoy a dip at the same time and finally an extra-large but easily accessible stowage area for gear and toys. sun bed. Much like the T9 series, the T11 also has a large storage hatch at the front of the cabin. Thanks to the large gunwale sides, the foredeck can also be used as a seating area and socializing space. equipped with two Mercury Verado V8 300 motors as standard and the speed range is between 20 and 40+ knots. 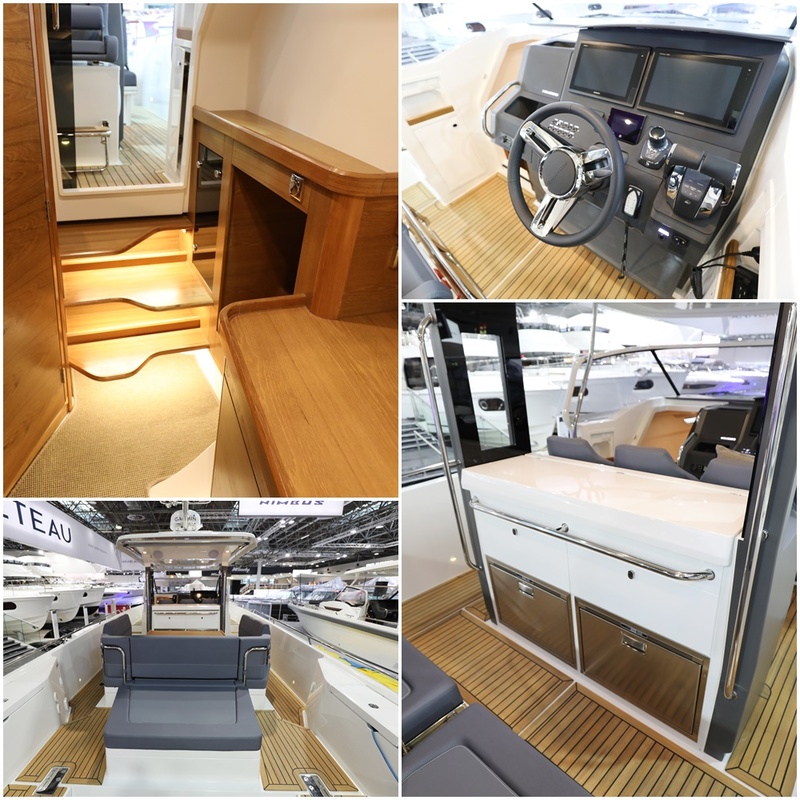 For those who want to go even faster, the T11 can be fitted with three Mercury Verado V8 300 motors which, according to our calculations, would allow the boat to reach up to 50 knots. The boat can also be fitted with inboard engines.